FRIENDS! I’ve been dying to share this amazing product with you guys but had to wait a little bit! I wanted to fully test it out! Vine Vera! 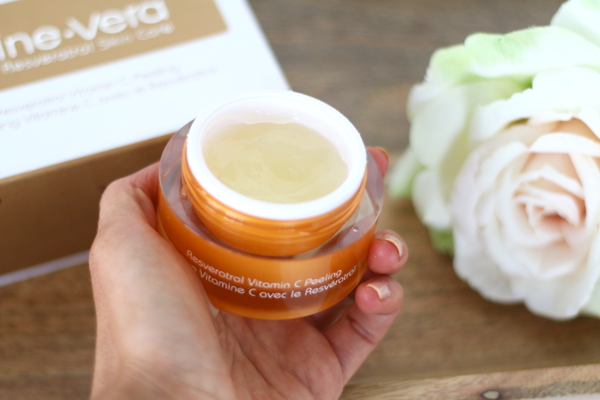 Let me tell you a little bit about them and what makes them different from other skin care. 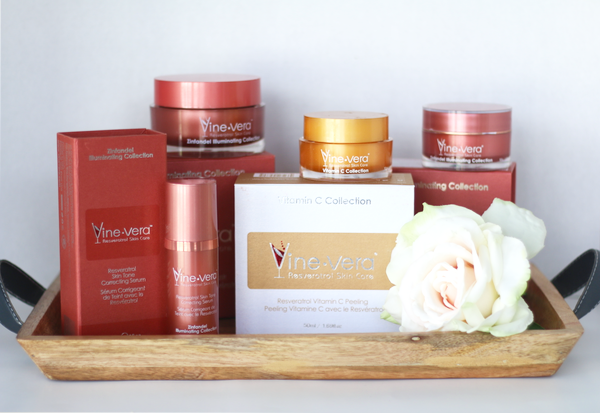 Vine Vera, is a skin care company that focuses on anti-aging. Their anti-aging secret is, Resveratrol. Resveratrol is an antioxidant found in red wine and grapes. The use of Resveratrol is believed to help slow the aging process and retain a timeless youthful appearance. As a result, it helps maintain the skins health and elasticity while preventing new wrinkles and reducing the appearance of existing ones. 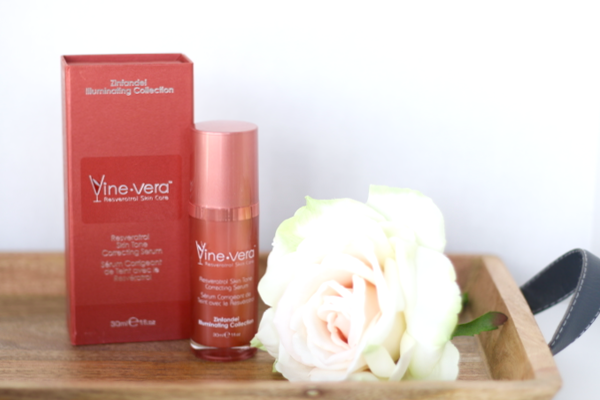 Vine Vera has formulated Resveratrol alongside other extraordinary anti-aging ingredients into miracle formulas for all types of skin. Being in my late 20’s I am always looking for was to keep up with my skin! I still have breakouts, I have discoloration, I have little sun spot, and the list goes on. Since I have been using Vine Vera products my skin has been better than ever (thank goodness). I have been using it for a little over 2 months and have noticed a HUGE difference in my skin tone. It is now more even and a lot less ‘blotchy’. I have also noticed a “glowing” I feel like my skin has been rejuvenate! I LOVE these products and highly, highly recommend them to any of you who are looking for hope. 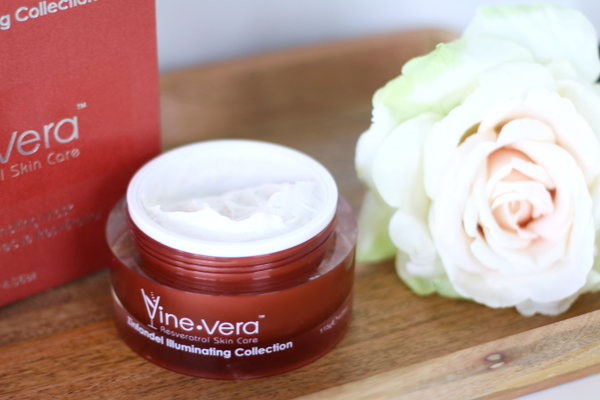 I have tried tons of things but I have had the best results with Vine Vera. They have a range of 12 collections to chose from so whatever problem you are facing they have you covered! I am using the Zinfandel Collection & the Vitamin C Peel Mask. Below I have shown & itemized each thing. I will walk you through what it does & why I love it! 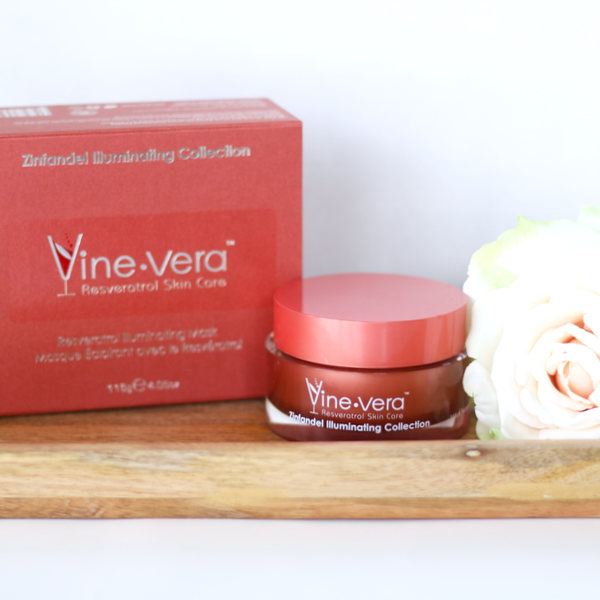 The Zinfandel Collection focuses on even out skin tone & reducing the appearance of aging. I don’t want to wear foundation every single day so having an even skin tone is very important to me! This collection consists of 3 things. A Radiance Cream with SPF, a Illuminating mask, and a Tone Serum. I love this cream! I can wear it under my makeup. It is light but powerful! It makes me feel most confident knowing I have an SPF on all day! Always it smells amazing! 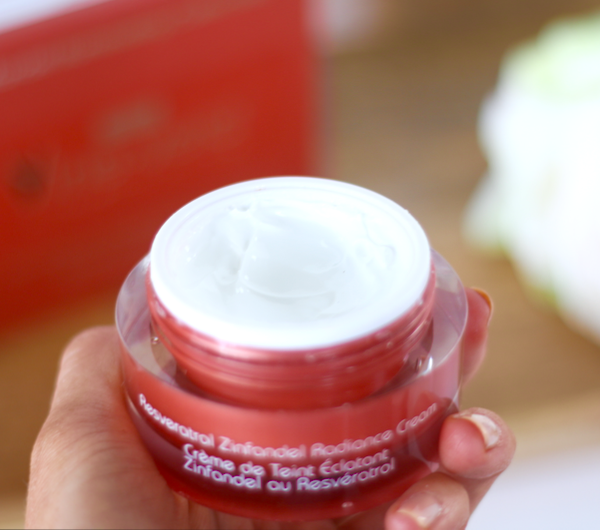 This mask is creamy, moisturizing, and you literally glow right after! I feel like I’m indulging my skin in pure bliss every time I use this! It contains so many vitamins that you can feel sinking into your skin! Love! This is my favorite from the Zinfandel Collection. I love to wash my face really well then use my Luna (I will share more about that Thursday) and then put this on my face! It is gold in a pump! I wake up with smooth buttery skin! It’s like little minons are in it and go to work at night scrubbing off all you discoloration! If you are looking to grab one thing from this collection this would be it! I will never again be without this! If you are looking for a good peel look no further! This is also my favorite from my skin care regimen. From the minute you take it off from it being on your skin it feels fresh & smooth! You can feel if in your pores cleaning them out. I have shared this product with my sister as well who fell in love with it! It slufs the dead skin off, smooths any blemishes you may have and is pure goodness. 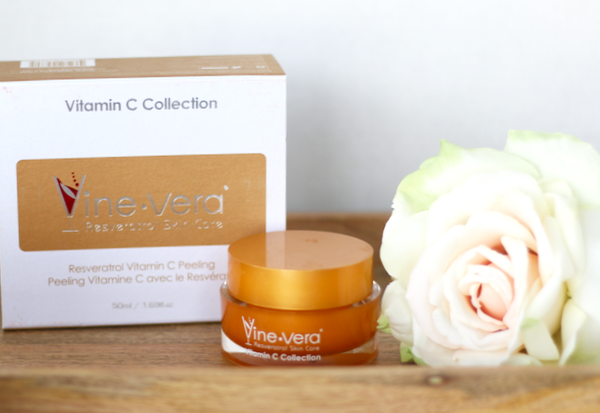 All in all, Vine Vera has AMAZING products to offer! I will be a forever customer! 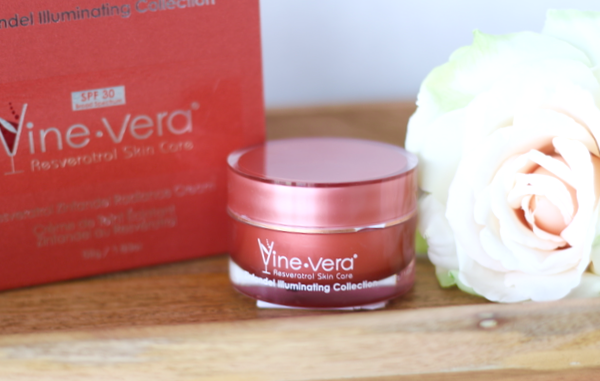 I truly feel that beauty is from within although, it’s no fun feel a little self-conscious about your skin, Vine Vera revives it! Please, let me know if you have any questions and I will be happy to answer them! 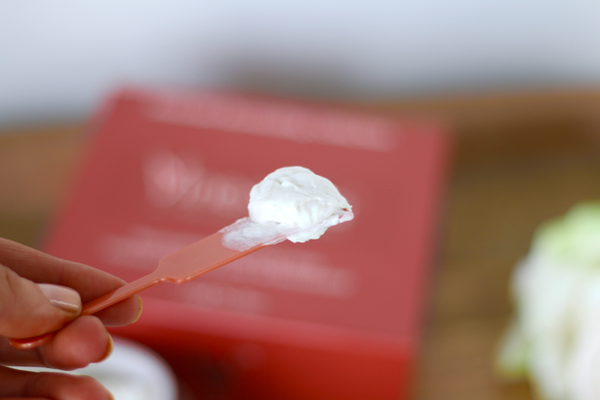 I can’t wait to bring you a second skin care post on Thursday on one of my favorite tools I’ve been using lately!